It takes very little to make Chipotle shareholders nauseous. The $11 billion burrito chain lost 3 percent of its value on Thursday after an author of the Jason Bourne novel series tweeted that his editor had gotten sick after dining at one of its outlets. Chipotle said it received no such reports. Still, it’s a sign of how systemically intractable its food-safety image problem has become. Repeated norovirus outbreaks and 60 documented cases of E. coli have scared off Chipotle customers and investors since October. Once the rising star in the quick-service restaurant world, the Mexican joint reported its first quarterly loss in April, and has shed some $12 billion in market heft since its peak. But even today, with estimates for future earnings much reduced, Chipotle is priced for a turnaround that looks difficult to execute. The stock trades at a hefty 45 times estimated earnings per share for the next 12 months, according to Eikon. That’s more than twice as high as larger rivals Yum Brands, parent of Taco Bell, or McDonald’s, which once owned a controlling stake in Chipotle. 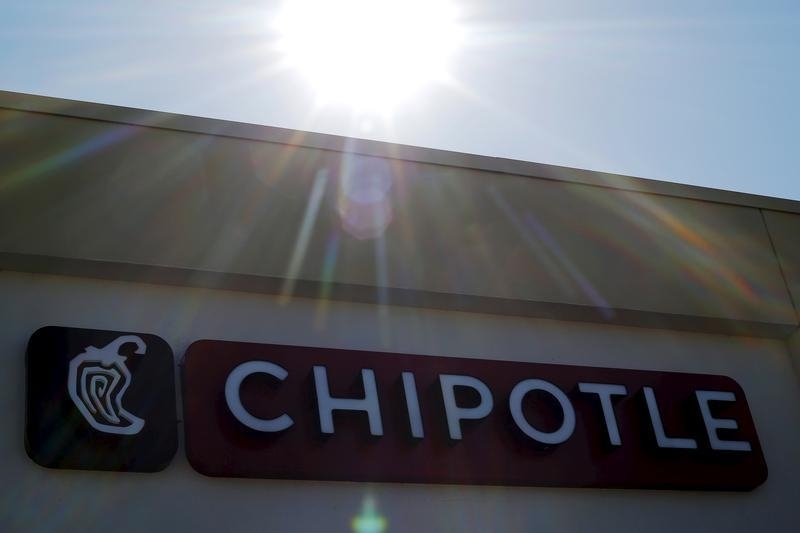 Chipotle’s comeback has focused on food giveaways and rewards programs. Coupons have caused short-term jumps in restaurant traffic, but there’s scant evidence that diners will return when the freebies – which eat away at the bottom line – expire. Even if the food scares are something Chipotle should be able to control, rising commodity prices aren’t. Chipotle buys the majority of its food on a spot basis, and said it expects food costs as a percentage of revenue to increase. Recent management scandals only further dent its image: The Chipotle executive in charge of revamping the brand was recently caught in a cocaine bust and put on leave. Management is diligently trying to address safety concerns. The company tweaked food-preparation protocols to reduce the risk of contamination and hired prominent food-safety consultants. Jack in the Box adopted similar measures decades ago after four children died from E. coli in undercooked burgers. Sales eventually recovered, but only after two years and a massive brand overhaul. It’s hard to see a Chipotle comeback happening any faster – with or without the assistance of special agent Bourne. The sun shines over a temporarily closed Chipotle restaurant in Billerica, Massachusetts March 9, 2016. On July 7, Eric Van Lustbader, author of 10 Jason Bourne novels, tweeted: "This Chipotle thing is still ongoing. My editor ended up in urgent care after being deathly ill all night from eating at Chipotle's." The company said there had been no reports of illnesses at any of its New York restaurants. On June 27, Chipotle announced a rewards program incentivizing customers to make multiple paid visits to restaurants within a month. This year, the chain has offered several food giveaways and buy-one, get-one-free coupons. Separately, Mark Crumpacker, a top marketing executive, surrendered to New York police on July 5 and was arraigned on charges of possession of cocaine. He was put on a leave of absence upon learning of the allegations. Crumpacker had spearheaded food giveaways and other efforts to lure back diners following illness outbreaks in 2015.